Featuring a balcony with sea views and located just 20 metres from the beach, J&V Sol i Mar 20 is located 3 km from the centre of Roses, near the beautiful natural landscapes of Cadaqués. The apartment includes a double bedroom, 2 twin bedrooms and a living room with a sofa bed, TV and dining table. The kitchen is equipped with an oven, washing machine and coffee machine, and there are 2 bathrooms including a bath tub and a shower. Shops, restaurants and bars can all be found in the town of Roses. 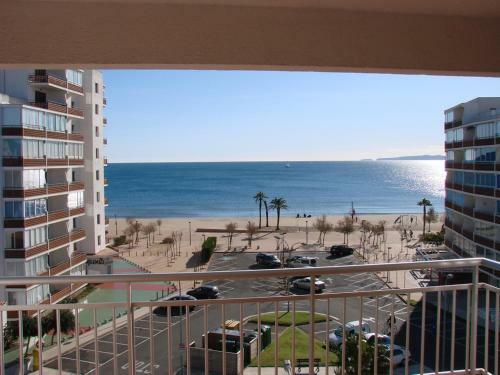 J&V Sol i Mar 20 apartment is located just a 15 minute drive from Cap de Creus Nature Reserve, and the lovely Golf de Roses offers opportunities for swimming and water sports. Girona Airport is a 50-minute drive away.